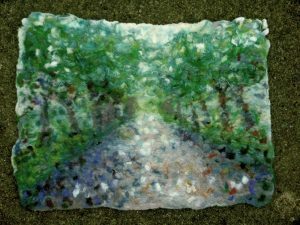 Want to learn more about the techniques and creative process to make felt pictures? Then join me on Saturday 26th January at Blue Moon Framing and Gallery in Heswall. No previous experience is necessary and all equipment and materials are provided.